“Mexican authorities have rescued at least 275 people who were being held in slave-like conditions at a camp where tomatoes are sorted and packed for export, officials said. Thirty-nine teenagers were among those being held against their will at the Bioparques de Occidente camp in Toliman, in the western state of Jalisco, regional prosecutor Salvador Gonzalez said late Tuesday. 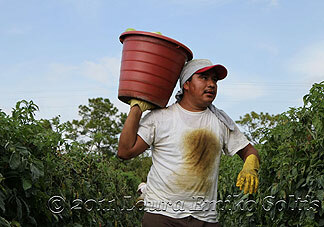 … One of the victims, Valentin Hernandez, went to work at the site with his wife and children. He told AFP he was housed in a tiny room with two other couples who also had children. ‘The food was rancid and rotten. They held us as slaves,’ Hernandez said. According to the AFP report, workers were not only deprived of their freedom, but they were forced to live in unimaginably humiliating conditions, as well, crammed into overcrowded, unsanitary housing, their pay often issued in vouchers redeemable only at an overpriced company store. It was only a few years ago that federal authorities here in the United States dubbed Florida’sfields “ground zero for modern-day slavery” after a series of high-profile forced labor prosecutions in the state’s agricultural industry drew increasing public attention to the need for deep and abiding labor reforms in the Sunshine State. And to their credit, Florida’s tomato growers — not all, but the vast majority of them — did just that. 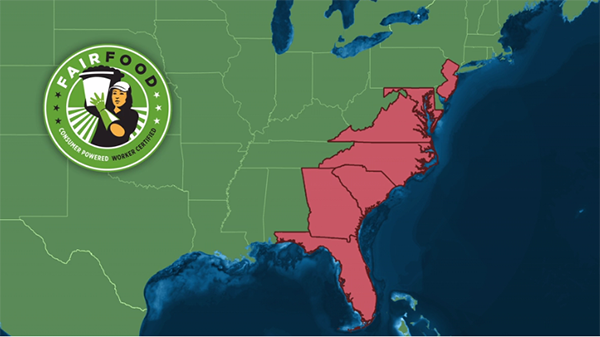 In 2010 the Florida Tomato Growers Exchange signed a sweeping agreement to partner with the CIW in implementing the Fair Food Program on over 90% of the Florida tomato industry’s fields, and since then a quiet revolution has been taking place in Florida farm labor conditions. “Last week, I attended tomato school. … Until this year none of my classmates, many of whom were veteran tomato workers, had ever attended a session like this one, where their fellow workers outlined their new rights and responsibilities under the CIW’s Fair Food Code of Conduct as employees of Pacific Tomato Growers, a major corporation that markets its products under the brand names Sunripe and Suncoast. Since that visit, which took place in 2011 during the Fair Food Program’s pilot season, the Program, and the concrete changes it has brought about, have only grown stronger. Since January 2011, participating buyers have paid over $10 million into the penny-per-pound program to help improve workers’ wages, and that amount will only continue to grow. 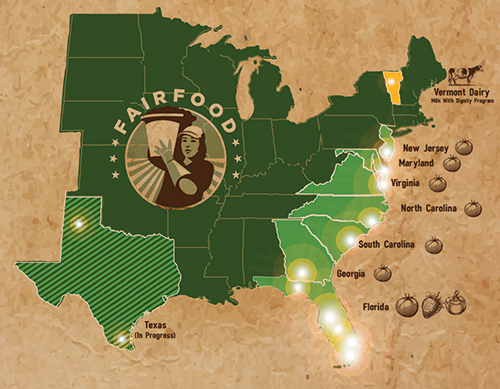 Nearly 300 complaints (many involving multiple workers) have been received through the Program’s 24-hour complaint line and investigated and resolved by its enforcement body, the Fair Food Standards Council (FFSC). Through the work of the CIW’s education committee — which holds worker-to-worker education sessions around the state of Florida, on the farm, on the clock, throughout the season — the Program empowers over 30,000 worker-monitors, in addition to the CIW and FFSC full time staff, to help guarantee compliance. And, as readers of this site know, the Fair Food Program’s success has not gone unnoticed. 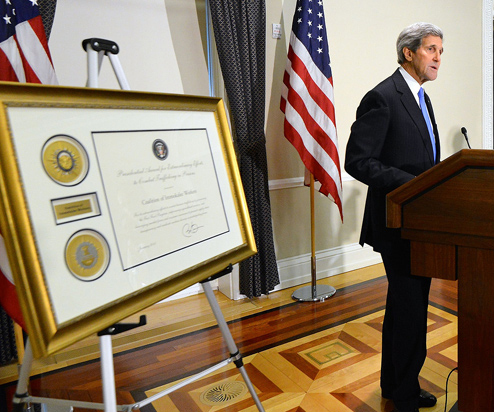 The Program has been closely studied by national and international human rights experts, winning universal praise. 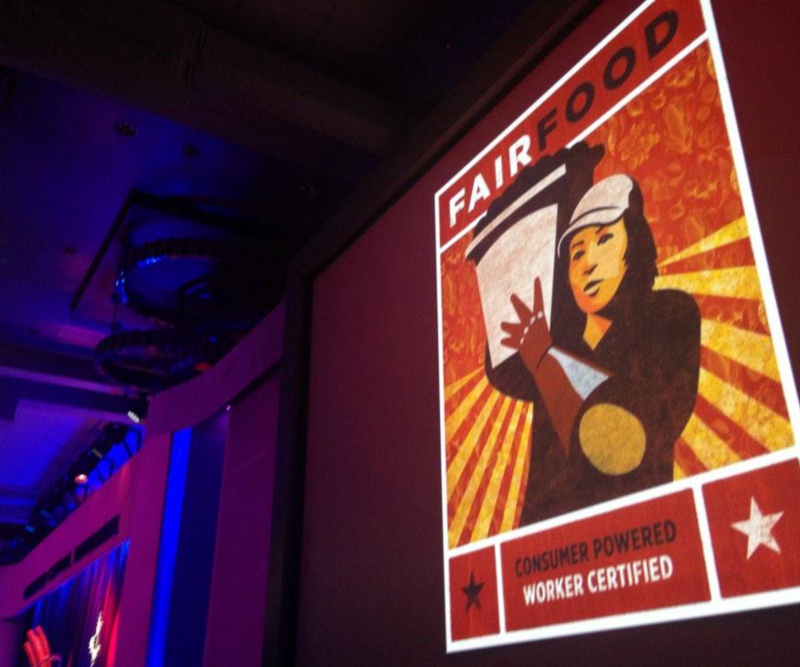 From the White House to the United Nations, and most recently PBS’s documentary team at Frontline, observers have singled out the Fair Food Program for its unparalleled success in eliminating gross human rights violations and for its unique structure of worker-driven, market-based enforcement mechanisms. And — most importantly for purposes of this analysis — not a single slavery case has emerged from the fields under the protection of the Fair Food Program. Through its combination of education, empowerment, prompt detection, and swift market consequences, the Program has gone beyond prosecution to forge the first successful model of slavery prevention in the US agricultural industry. The Fair Food Program’s zero tolerance policy for slavery — meaning that any grower on whose farm forced labor is found will not be able to sell his tomatoes to any of the Program’s eleven participating buyers — has created a strong and effective market incentive for growers to police their own operations. That incentive did not exist in the past, when, during the period stretching from 1995-2010, the CIW’s Anti-Slavery program worked with federal prosecutors to put 15 farm bosses behind bars. During that time, while the farm bosses went to prison, the tomatoes from the farms where they worked went to market, without a hiccup. And so, on the ground, the abuses continued. 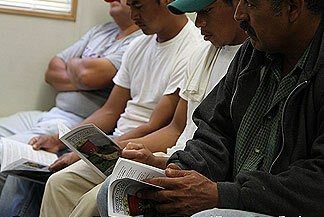 Today, slavery in Florida’s fields, within the confines of the Fair Food Program, is quickly becoming a thing of the past, thanks to the Program’s unique combination of education, enforcement and market incentives — and thanks to the leadership of a number of the most progressive growers in the industry who have embraced the partnership and shown that what’s good for workers can indeed be good for business. The transformation of the Florida tomato industry, while still far from complete, is well underway. What, on the other hand, can be said about the Mexican tomato industry? Unfortunately, the latest slavery case speaks volumes. There is no Fair Food Program in the fast-growing world of Mexican agribusiness. 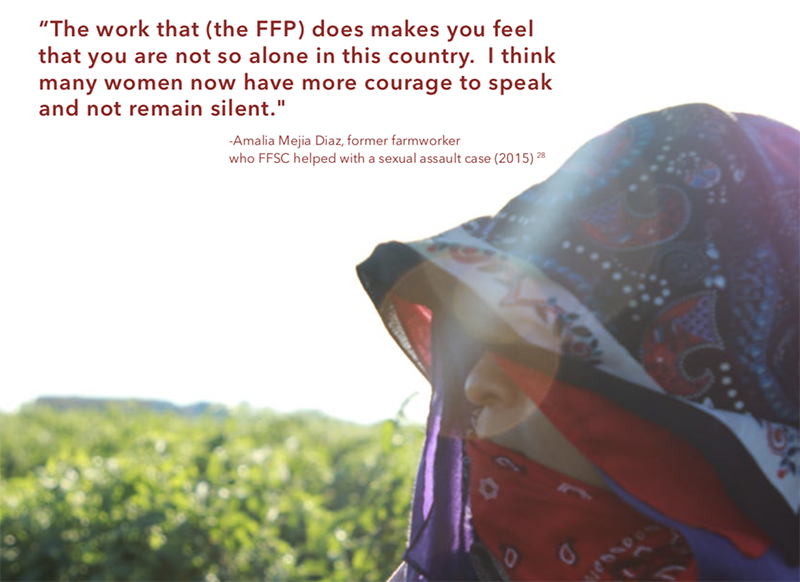 There are no swift and certain market consequences, no industry-wide worker-to-worker education program, no penny-per-pound program and no Fair Food Standards Council working with farmworkers and growers to protect human rights. And so, all too predictably, there continue to be gross human rights violations like those alleged in the recent arrests out of Jalisco. What doesn’t make sense, though, is that US retail food giants continue to purchase tomatoes from these conditions in Mexico. Go back and read the first line of the AFP article at the top of this post — it reads: “where tomatoes are sorted and packed for export.” And not only that, but many supermarket and restaurant companies have significantly increased their Mexican tomato purchases in the past several years, even in the face of the unprecedented advances brought about by the Fair Food Program in Florida. 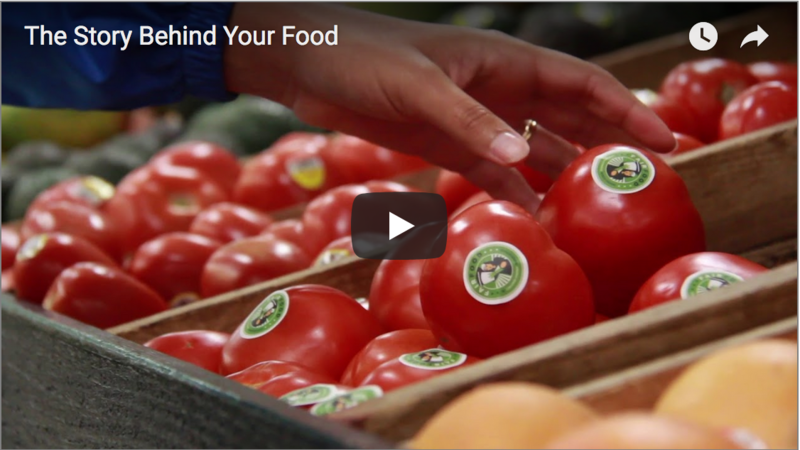 Of course, multi-billion dollar food companies that operate across the country and across the globe need to fill their massive demand for tomatoes with purchases from places beyond the Fair Food Program. No one is denying those bedrock realities of today’s global marketplace. Geography and the sheer size of their demand won’t allow those companies to direct all their purchases to the producers whose human rights practices are the best in the market. But what we are witnessing today among all too many retail food companies is much more than the unavoidable consequence of their global footprint. Rather, what those companies are demonstrating is an active preference for the lowest price regardless of human rights. Rather than direct whatever percent possible of their purchases toward those producers that are doing the right thing by their workers, these retailers seek out the cheapest product possible, which in most cases leads them to Mexico, where tomatoes are, for the most part, still being produced and sold the old way — no questions asked. And this preference for price over human rights has real world consequences for workers, in Mexico — and right here in Florida, too. 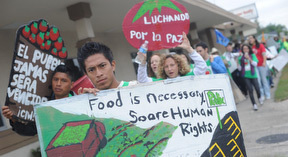 The continued support of Mexican tomatoes that may have been picked by workers subjected to gross human rights abuses — up to and including modern-day slavery — when there is a proven alternative like the Fair Food Program allows the Mexican tomato industry to set the low bar with regard to human rights. This creates a powerful downward pressure on wages and working conditions just when the Florida tomato industry has embraced a more modern agricultural approach. Human rights are not free. The changes happening in Florida’s tomato fields today require a real and sustained investment from all the partners — workers, growers, and retail purchasers alike. As long as cost is, if not the only, the principal criterion when purchasing decisions are made, today’s food giants that choose low price over human rights will continue to stand in the way of long-overdue progress. In fact — though the thought surely stings their conscience far more than they might allow, and so it remains safely tucked away in the shadows of denial — they will continue to have a hand in every abuse, up to and including slavery, that happens in the far away fields where they buy their tomatoes. 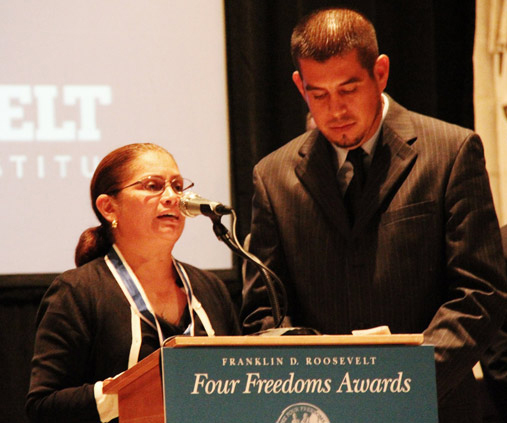 A 4th to Remember: CIW honored as 2013 Four Freedoms Award Laureate!